Random thoughts ehem. So for today I would be reviewing Vitapack Whitening Lotion. When it comes to beauty products I do believe that what makes us feel good makes us look good as well. 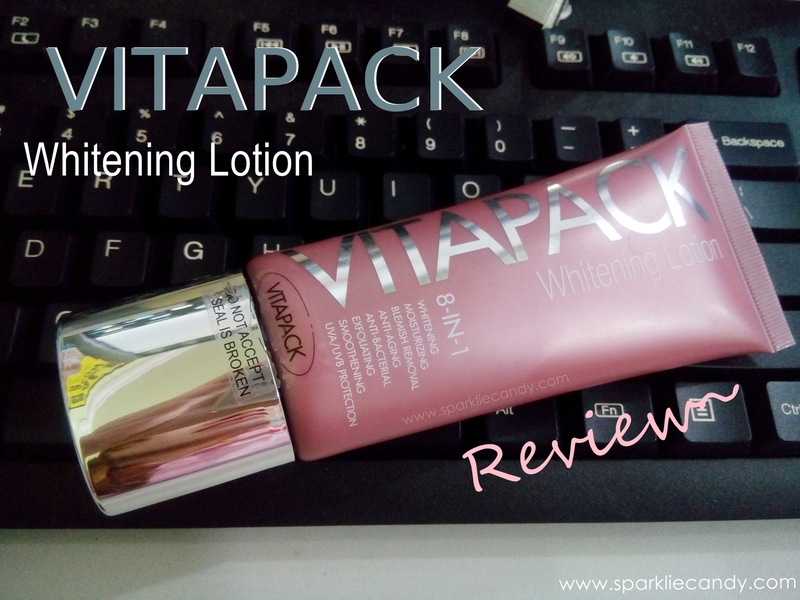 Vitapack Whitening Lotion lightens your skin and brings out your youthful radiance using a unique blend of Clairju from Japan, VB9 Plus from Korea, Ameliox from Switzerland, and Argan Oil from Morocco. 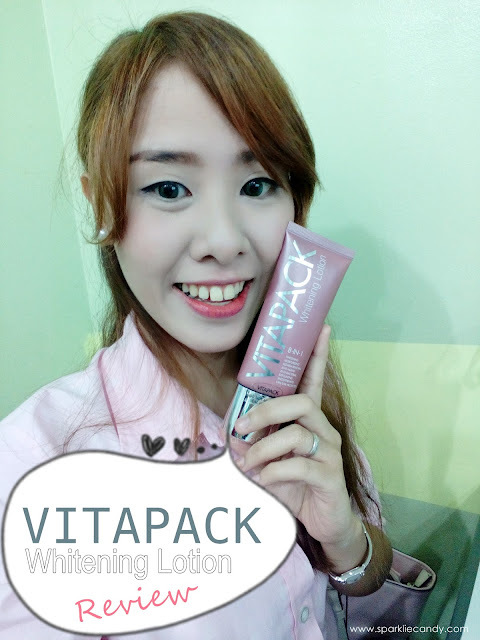 Vitapack Whitening Lotion brightens, hydrates, and rejuvenates your skin, while protecting it from the aging effects of the sun. Powerful yet gentle formulation to erase blemishes, remove wrinkles, repair elasticity, boost cellular stimulation to leave you with deeply beautiful skin. The lotion is in a pink squeeze tube pretty much like the usual lotions. It comes in 100g. tubes and I think the size is great for travel. So I had started using Vitapack Whitening Lotion alongside Vitapack whitening soap. It is said to work hand in hand for faster whitening. 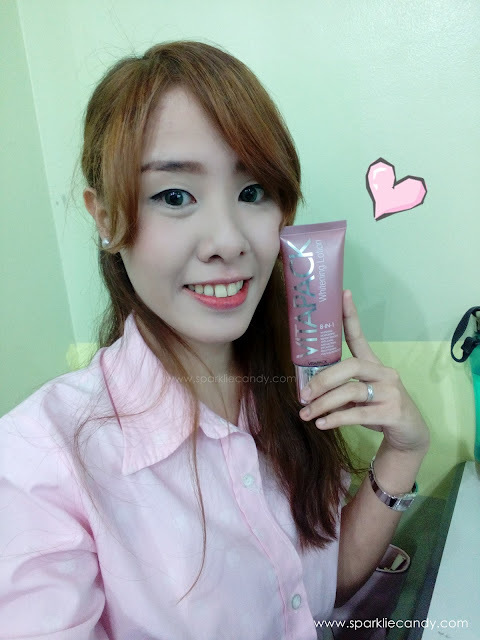 Of course nothing is instant especially when it comes to whitening. Very fun gif of the lotion mehehe~ my first gif here I guess? The consistency is very creamy. spreadable, doesn't drag the skin at all. Its also non-greasy on the skin and is quickly absorb despite providing heavy moisture. Yes it is ultra heavy moisture gals! If your skin is drying from the aircon or other acid soaps you might be using, I am absolutely sure that this is the answer. I used this during mornings and I perspire more than usual. Fuhuu~ Might be better to use during night time. They mentioned that we can use this on our face but uhum~ it is scented like body lotion. Well it is body lotion alright, but for face products I prefer unscented or really really mildly scented products. 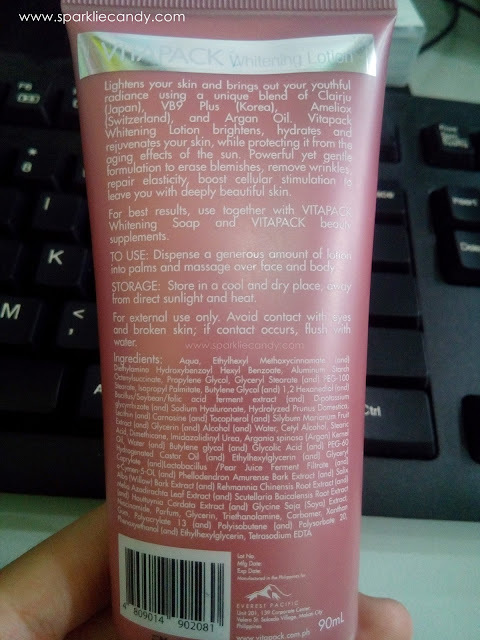 But do not get me wrong because I love it as my body lotion. Due to its very spreadable consistency I find that I only needed not so much product for the whole body which means value for the money. I noticed after a few days of usage that my skin dryness is gone and my skin looks bright and healthy. P499 for 100g. tube. I don't think they have it at a bigger size yet. They also sell this in Zalora and Lazada. This is a luxurious lotion which deserves a space in our beauty routine. One tube can last long and its worth the try if you are looking for a whitening routine which you can do for a long time. So this clearly sums up why a girl confesses to a guy. "I like you... I came to you so you could clearly turn me down.